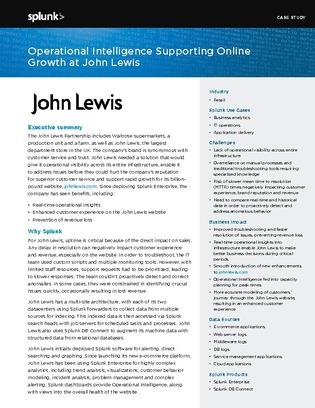 For John Lewis, uptime is critical because of the direct impact on sales. So in order to ensure optimal uptime, they needed a solution that would give them visibility across their entire infrastructure, enable them to address issues before they could hurt the company’s reputation for superior customer service, and support rapid growth for their website. So what did they do?